When it comes to visiting Malta, there are two places that you should be familiar with; and these are Valletta and Sliema. Valletta is the stunning capital of Malta, while Sliema is the country’s main commercial and residential hub. As a visitor to Malta, you definitely need to visit Valletta as it is quite frankly, one of the most beautiful cities in Europe. But you may probably end up staying in Sliema just because it has a wider variety of accommodation that fits a wider range of budget. Malta Public Transport group makes it incredibly easy and convenient to get from Sliema to Valletta (vice versa). The most important transport for this route is Malta’s public ferry. So if you choose to stay in Sliema and would want to go to Valletta at some point of your visit, read on. 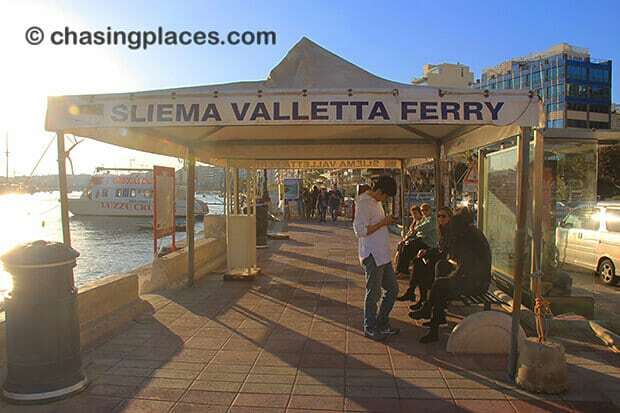 Step 1: Make your way to the public ferry stand in Sliema. This stand is along the Triq Ix – Xatt boulevard. 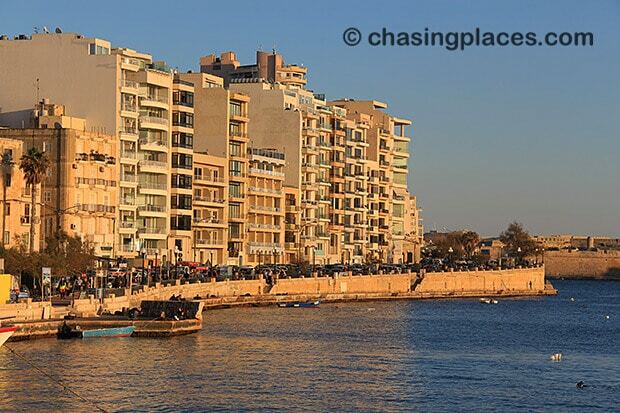 It is along the waterfront of Sliema. It is hard to miss as it gives you a perfect view of Valletta in the distance. Nevertheless, you can check Google Maps for the exact location. You can also ask people where it is. The public ferry kiosk in Sliema. Step 2: Line up with the other passengers. Line up early if you want to catch the next ferry. Ferry services are very frequent, running every 5-8 minutes. Step 3: Purchase the ticket on the ferry. As you board the ferry, a staff will collect your fare. 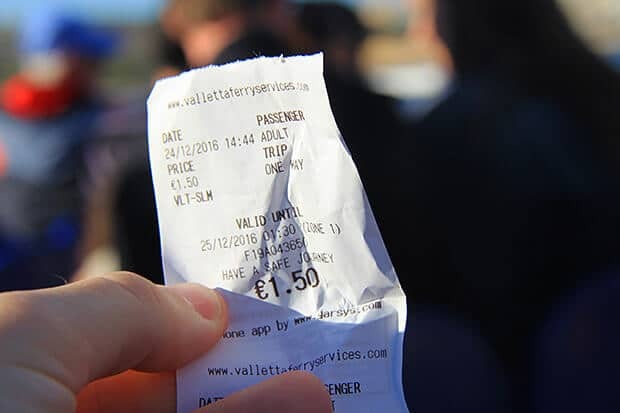 The cost of a one-way adult ticket is 1.50 Euro. Reminder: When you intend to use the ferry, make sure you have small change for faster transaction. Step 4: Enjoy the trip. This one is going to be extremely short, around 5 minutes. 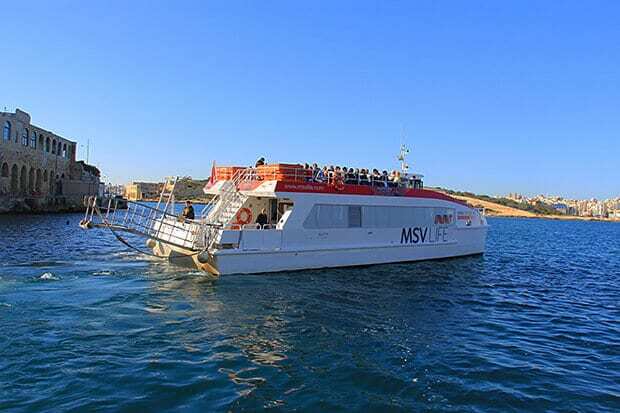 What most first-time visitors don’t know is the ferry trip from Sliema to Valletta is a tourist attraction in itself. From the water, you will get incredible views of Valletta, and they are stunning, especially on a sunny day. Travel Tip: Go to the upper deck and ready your camera. From here, you will get the best views of Valletta City – a World Heritage Site and the 2018 European Capital of Culture. Step 5: Arrive at Marsamxett Harbor, Valletta. From the ferry kiosk, you can walk to the city center. If there’s no physical limitation that will stop you from walking, we highly recommend that you do so. As mentioned before, Valletta is absolutely beautiful and it is small. The charm of the city lies on its old architecture and narrow streets. Thus, the walk from Marsamxett Harbor to the city center is an excellent introduction to Valletta. If you decide to walk, just follow the street signs that leads pedestrians to Valletta city center. It is hard to get lost in Valletta but if you do, don’t be afraid to ask people to point you to the right direction. However, you don’t have the time to walk or you’re physically unable to, there is a private shuttle service at Marsamxett kiosk that offers rides to specific attractions in Valletta. 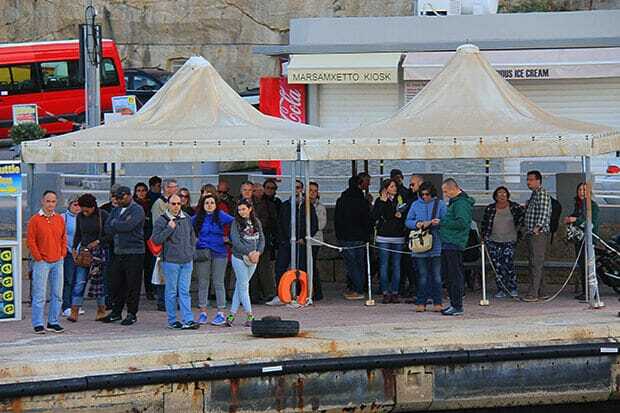 There is only ONE FERRY KIOSK where the Valletta – Sliema ferry picks up passengers, and that is the Marsamxett Harbor kiosk. Step 1: To get from Valletta to Sliema, walk back to the Marsamxett Harbor kiosk. Step 2: Line up to get on board and pay the fare as you board the ferry. 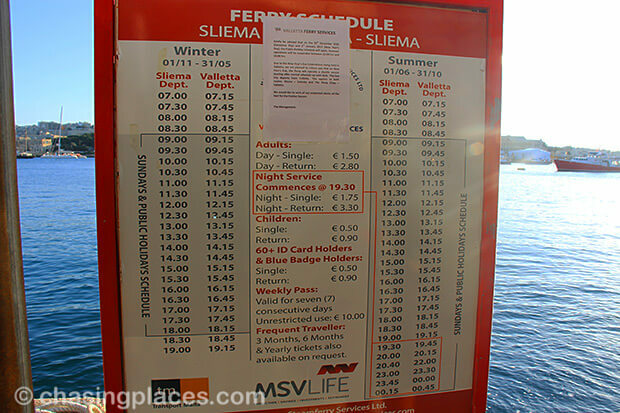 Step 3: Enjoy the short ride and get off at the Sliema ferry kiosk in Sliema. Take note that there is another ferry kiosk , but that is located in the area facing the Grand Harbor. This particular ferry goes to Tri- City. So do not confuse the two, as some first-time travellers make this mistake. Always check the signs and ask if you are not sure. 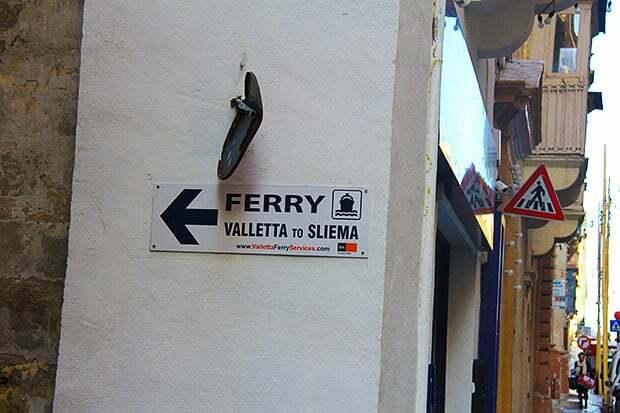 There you have the step-by-step guide on how to get from Sliema to Valletta using the public ferry. If you find this article helpful, please share it so that other travellers can benefit from this information.